The 2019 Big Beach Marathon is happening at The Hangout in Gulf Shores, January 27! 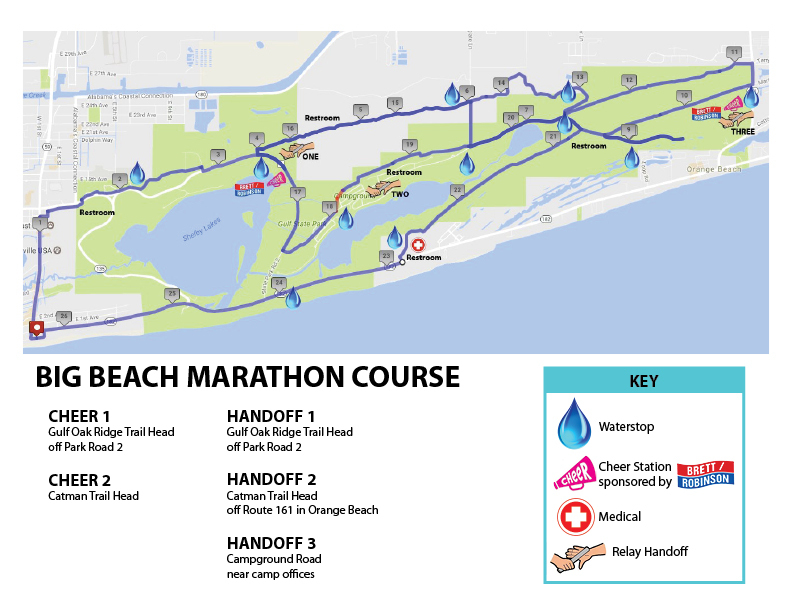 The course is a flat and fast Boston Qualifier that meanders along the paved trail system of Gulf State Park with the final 3-mile stretch on Beach Blvd with great Gulf of Mexico views. There are also half marathon and marathon relay (4-person) options. Participants will receive a finisher medal, long sleeve tech race shirt, access to post-race party with free beer and live music! The marathon starts and finishes at The Hangout.